Home > Books > Biography > Yes Papa! 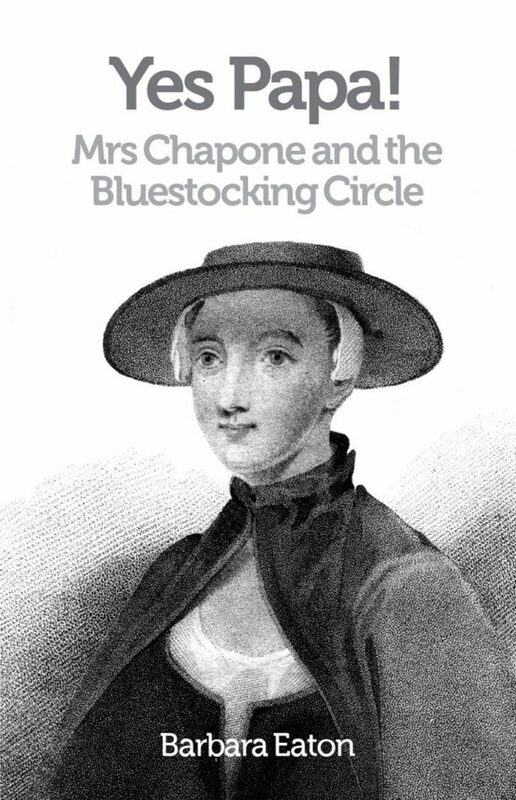 Hester Chapone, an early bluestocking, was born in 1727. Unlike her brothers, but like so many women of her time, she was denied an education and determinedly set about educating herself. Becoming a member of Samuel Richardson’s coterie, she entered into correspondence with him on filial duty as portrayed in Clarissa. Richardson christened her ‘Little Spitfire’ and asked her to contribute to Sir Charles Grandison, his final novel. When tragedy hit her marriage she was left in debt and turned to writing for money. In 1773 Letters on the Improvement of the Mind was published and became a bestseller until well into the 19th Century. Highly influential in the education of girls it was mentioned by Sheridan in The Rivals, Thackeray in Vanity Fair, and by Jane Austen as Edmund’s model for Fanny’s education in Mansfield Park. It was also the object of satire in the anonymously published Anti-Chapone in 1810. Barbara Eaton lives on The Lizard in south-west Cornwall. She is a graduate of Manchester University in English and Philosophy, Edinburgh University in Education and MSc of Aston University in Applied Linguistics. Married, with two grown up children, she lists her interests as writing, theatre, gardening, cooking and walking her two boxer dogs. She has travelled widely throughout Asia and the Middle East. Her first book, a historical biography of Henry Martyn, Letters to Lydia: ‘beloved Persis’ was published in 2005 and was the non-fiction runner-up in the 2006 Holyer an Gof Awards for Literature of the Cornish Gorseth. Ann Trevenen Jenkin, 2006 Holyer an Gof award for Literature.